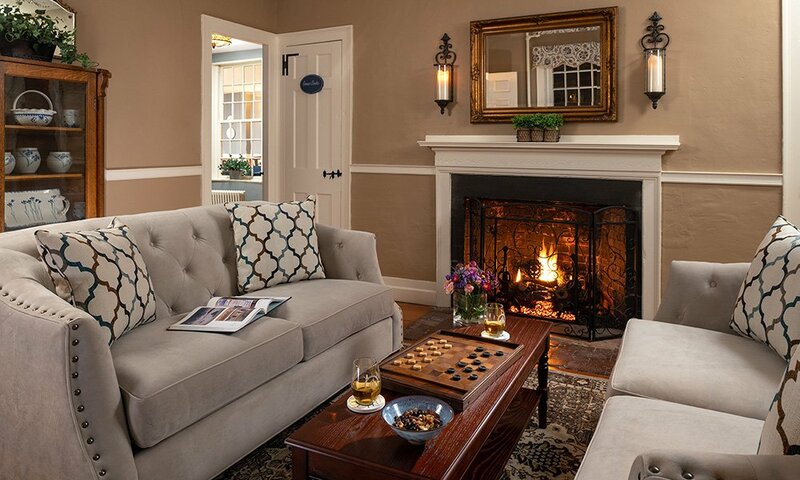 At the Captain Swift Inn, in addition to your private room or suite, guests have several rooms and spaces to spread out and relax! The Locke Sitting Room, named after the daughter of the original property owners, was once the home’s dining room. Today this bright front room is filled with comfortable upholstered furniture and a game table for guests to try their hand at one of the many board games from our closet. It also has one of the home’s original 5 fireplaces, which is now gas operated. Browse our book selection from the Book Closet tucked in the corner of the room, and if you start a book and don’t finish it, just take it with you! The Hunt Sitting Room, named after the first property owners, was the home’s original living space. 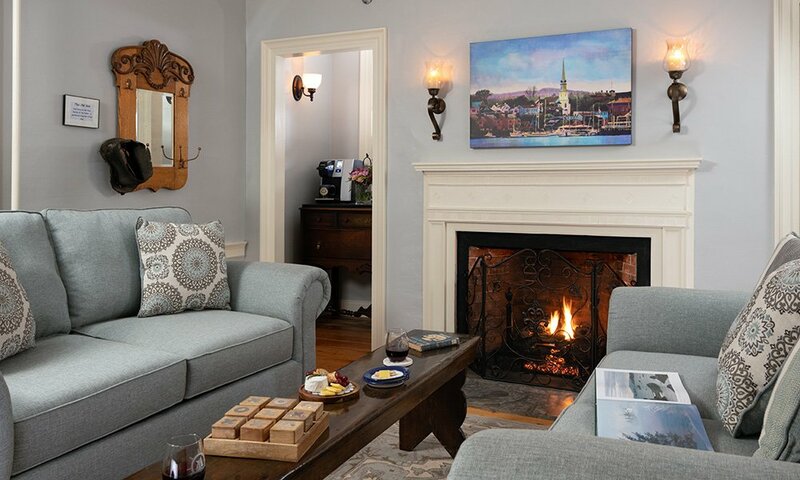 Another handsome appointed bright room, with an original fireplace (also converted to gas), provides another space for guests to spread out and relax after a busy day of exploration. Table games and books are in easy reach for conversation and enjoyment! Our beverage nook is tucked in the corner of this room, providing access to coffee, tea and our very own hot cocoa 24/7! 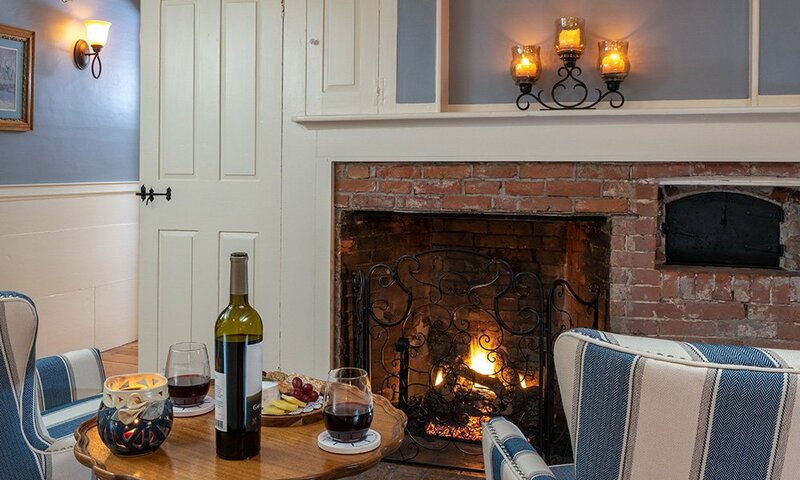 The Keeping Room, originally the home’s kitchen, with a Dutch cooking oven embedded in brick alongside the cooking fireplace, is yet another cozy space for guests to sit and relax at this Camden Maine lodging. A smaller, more intimate space than the other two sitting rooms. The Dining Room, which was the home’s patio in the day, offers intimate candlelight dining at tables for two. 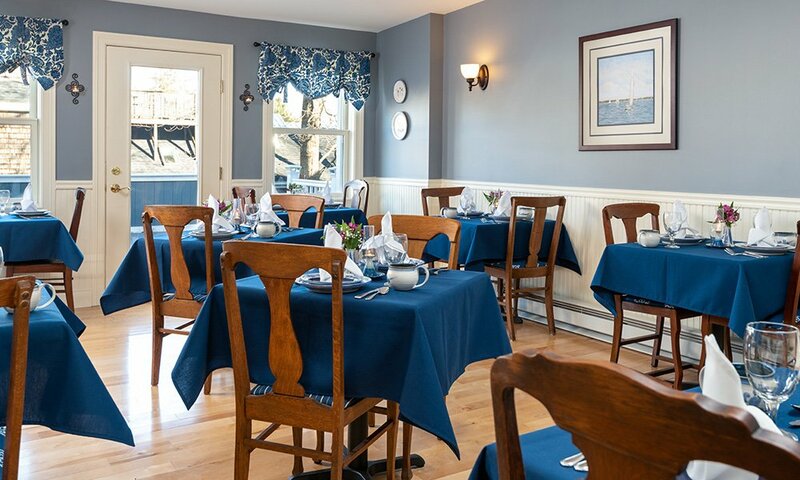 A full breakfast is served daily as well as First Course on Saturdays and holidays. The Inn’s large deck off the dining room is a wonderful place to enjoy alfresco dining weather permitting. Enjoy the outdoors of and spend time reading or sipping your favorite beverage on the patio. Relax at our Camden Maine lodging in the colorful red Adirondack chairs and strike up a conversation with other guests. The patio will be complete in the Spring of 2019! 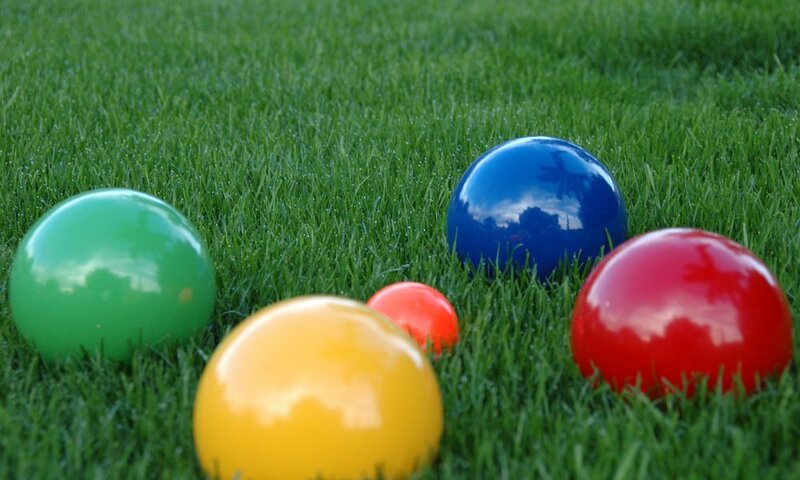 And while outside, play a game of Bocce Ball!